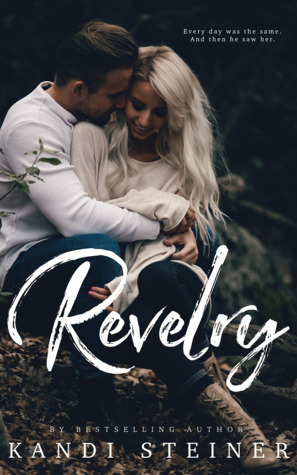 Revelry is the story of Wren, she wasn’t happy with her husband and she is now she divorced. The problem wasn’t a lack of love because she loves him but they weren’t made to be together. Wren has a lot of difficulties to be herself after that, she is a little depressed and she chooses to rent a cabin for the summer. Wren is smart girl, she has a job she liked, a best friend she loved and her only problem is with herself. She will have to deal with her feelings. She will meet some news friends and she will met Anderson, a beautiful but broken man. He lost someone a little while ago but the pain is so awful since her death that he is alone and sad every time. Anderson is weird at first, he thinks about his cousin all the time, live only for her memory and he feels guilty for what happened. Life isn’t easy on him but the apparition of Wren will change a lot of things, he will open himself to other again. This book is a story about loss, love, depression and life. Wren lost the love of her life, or at least that what she thought, Anderson lost a person he loves. They both are falling in love together and it’s beautiful but somehow, I find that painful because they love each other but they don’t want to give a chance to the other. It’s about life because after everything they must learn to live without and with everything, it’s hard but life isn’t easy and it’s beautiful to see them fall in love and learn to trust each other. I like the characters, they are interesting, the story is beautiful and I like to see broken people learn how to live again. Quick word: A beautiful story about two people who learn to live again.